CHIANGMAI , THAILAND - SEPTEMBER 10 2014: Ge Diesel locomotive and train no.2 from chiangmai to bangkok. 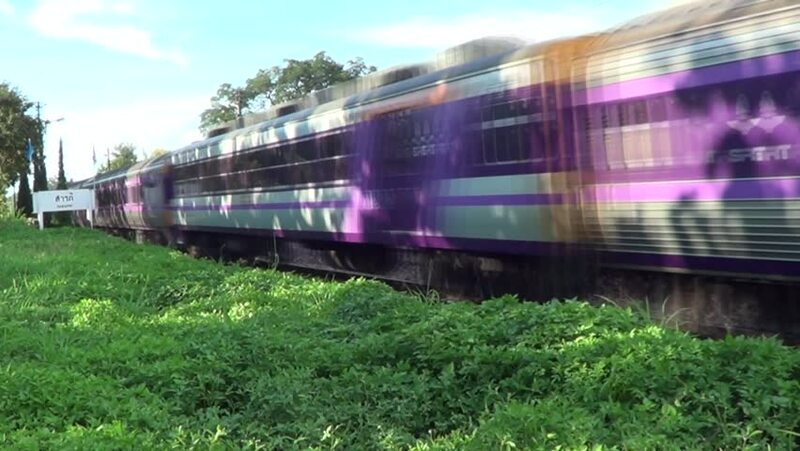 Footage at Saraphi railway station.Chiangmai, thailand. hd00:07Goods train is passing by. 4k00:11River crossing railways in China.